Since these “superbugs” don’t respond to antibiotics, they pose a very serious health threat and can turn something minor, like a scrape, into a death sentence. This threat turned personal for Hedrick in 2016, after he had routine knee surgery. Following the surgery he felt a sudden, excruciating pain and received emergency hospitalization for an infection. Hedrick was lucky: his infection responded to medication and he was able to return home 8 days later. But his close call with this serious infection caused him and his research team to realize that the medical community needs more choices in treating infections, especially life-threatening “superbugs” that don’t respond to traditional medications. In 2016, the UK Review on Antimicrobial Resistance reported that “superbugs” kill around 700,000 people worldwide each year and the report estimated that by 2050, that number could increase 14 fold, with an estimated 10 million deaths each year if existing antibiotics continue to lose their effectiveness. The situation has become even more dire in recent years as bacteria becomes more resistant to antibiotics, the medical community is now forced to use “last-line antibiotics” for infections that would have been considered “common” only a few years ago. 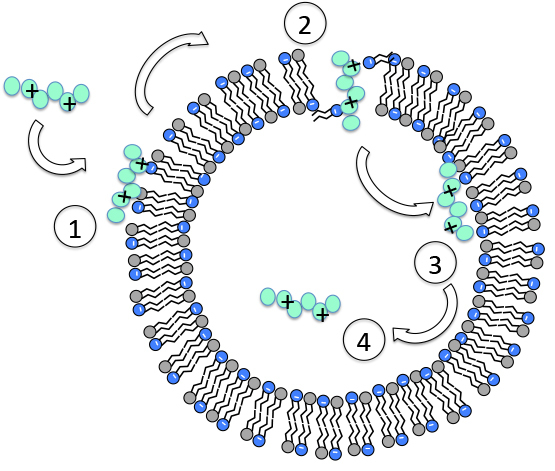 For over two decades, research on anti-bacterial polymers has faced big challenges such as polymer toxicity, non-biodegradability, and limited ability to target multiple bacteria strains. But the multidisciplinary research team brought together by IBM have designed a new class of antimicrobial polymers called guanidinium-functionalized polycarbonates. These polymers have a unique mechanism that can target a broad range of drug-resistant bacteria, the polymers are biodegradable, and they’ve shown no significant toxicity to human cells. The research team tested the new polycarbonate molecules on mice, and the polycarbonate was effective in killing five common superbugs acquired by hospital patients. The results showed that the bacteria was effectively removed from the mice and no toxicity was observed. The researchers are continuing to test the polymers to demonstrate that it won’t build up in the body. Once completed, the researchers hope to partner with pharmaceutical companies to develop the polymer into a specific therapy, test it in patients and, hopefully, bring it to market. 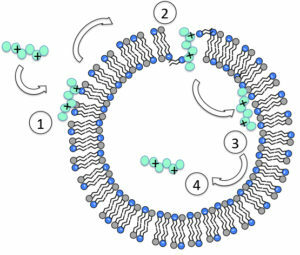 (Left) A diagram of the four-step killing mechanism of the polymer against drug-resistant superbugs. (Step 4) Polymer kills the bacterium.